The Miss World Vietnam beauty pageant officially kicked off on April 22. Folk paintings printed on ‘do’ (poonah) paper and how the paper is made will be introduced through the program “Vietnamese Poohnah Paper – Past and Present”. PANO - The Australian Embassy and Consulate-General in Vietnam will host the fourth Taste of Australia program in May2019. Taste of Australia is the annual celebration of Australian cuisine, culture and lifestyle throughout Vietnam, led by Taste of Australia Ambassador, Australian celebrity chef Luke Nguyen. The Mekong Delta province of An Giang is striving to become one of the top 15 localities in the Provincial Competitiveness Index (PCI) rankings this year. 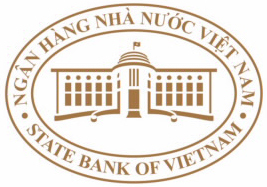 PANO – The Vietnam Software and IT Services Association (VINASA) announced the list of 94 Sao Khue title-winners in 2019 on April 21.